Student Research Committee 1, Nutrition Research Center and Department of Food Science and Technology 4, Faculty of Nutrition and Food Science 4, Tabriz University of Medical Sciences, Tabriz, Iran. Department of Food Technology 2, Faculty of Nutrition Sciences and Food Technology/National Nutrition and Food Technology Research Institute, Shahid Beheshti University of Medical Sciences, Tehran, Iran. Cereal Health Research Center 3, Golestan University of Medical Sciences, Gorgan, Iran. ABSTRACT: This study aimed to introduce antibacterial nanofibers, produced by electrospinning as a novel technique in constructing nanostructured materials. In the electrospinning technique, a high voltage is applied to a polymer solution to overcome the surface tension. A charged polymer jet is ejected to a grounded electrode. As the solvent is evaporated, the electrospun fiber with diameter from micrometer to nanometer is formed. One of the most important features of electrospun nanofibers stated in this paper is their activity as effective carriers of antibacterial substances, which leads to the use of them in many fields such as food packaging, drug delivery, wound healing, filtration, and food sciences. An electrospun nanofiber containing antimicrobial agents indicates excellent antibacterial functions against a wide spectrum of bacteria and sustain the antibacterial activity over a long period. In general, several aspects of antibacterial nanofibers, including synthesize, applications, types of antibacterial agents combined with them such as essential oils, herbal bioactive components, metals, drugs, and peptides have been stated. INTRODUCTION: Nanofibers are ultrafine solid fibers having very small diameters, they are generally defined as nanostructured materials with a diameter under 1000 nm and typically a length-to-width ratio greater than 50 1, 2, 3, 4. Nanofibers are of remarkable interests for a multiplicity of applications due to their worthwhile properties such as high surface area and porosity with small pore sizes 5. These traits make nanofibers suitable for the production of several technologically advanced products within many areas such as drug delivery, scaffolds, wound dressings, and filtration 6, 7, 8, 9. Electrospinning is a simple, versatile, and cost-effective method which can produce nanofibers with excessive surface area, flexibility, better mechanical properties, and morphologically improved forms than those obtained using traditional methods. In the electrospinning technique, a high voltage is applied to a polymer solution to overcome the surface tension. A charged polymer jet is ejected to a grounded electrode. As the solvent is evaporated, the electrospun fiber with diameter from micrometer to nanometer is formed. One of the important applications of electrospun nanofibers is the usage of them to the encapsulate / entrapment of antibacterial agent 10, 11. Bacterial contamination is a serious worry in the food industry and healthcare, packaging, and synthetic textiles products. Among the several types of pathogenic bacteria, Staphylococcus aureus and Escherichia coli are responsible for a variety of infections and diseases such as diarrhea and gastrointestinal disease 12, 13. Food contamination may happen during slaughtering, processing, packaging, and marketing, also it is a chief public health concern and an economic problem for the food industry. Hence, the development of methods to control the growth of bacteria that contaminate foodstuff is gaining a lot of interests among the community. Therefore, the development of antibacterial carriers such as nanofiber with antibacterial activity is of the proposed methods to deal with the food contamination 14, 15, 16. Many natural substances, including organic acids, metals, bacteriocins, spices, enzymes, and polysaccharides have been proposed and tested for antimicrobial nanofiber systems 17. The antibacterial property of electrospun nanofibers can be evaluated qualitatively or quantitatively against model bacteria using minimum inhibitory concentrations, diffusion (agar disc diffusion, agar well diffusion, and epsilometer test), dilution (agar dilution and broth micro/microdilution), and metabolic-based assay methods 18. Various antibacterial test methods likewise can be summarized in three steps: (1) preparation of bacterial medium; (2) direct contacting of bacteria and antibacterial electrospun nanofibers; and (3) the evaluation of antibacterial properties by observing the growth of model microorganisms. The most bacteria used in the antimicrobial tests are Escherichia coli as gram-negative and Staphylococcus aureus as gram-positive bacteria 19. Antibacterial electrospun nanofibers are divided into two main groups: (1) electrospun nanofibers which inherently have antibacterial activity, (2) electrospun nanofibers containing antibacterial agents. The main purpose of this study is representing the several antibacterial nanofibers, with explanations about their activity mechanisms, applications, and their synthesizing methods. 2. Chitosan Electrospun Nanofiber with Inherent Antibacterial Activity: Chitosan is a natural cationic biopolymer obtained from chitin by deacetylation (above 60%) via thermochemical reactions 20, 21. It is linear and contains repeating units of N-Acetyl-D-glucosamine and N-glucosamine (1-4) linked through glycosidic bonds 22, 23. Chitosan is soluble in acetic acid (mainly) and other weak organic acids. It can form a gel, nanocomposite, fiber, etc. 24 Among the biopolymers, chitosan and its derivatives are regarded as one of the most used substances in nanofibers. Nanofibers containing chitin or chitosan have specific applications in areas such as drug delivery, tissue engineering, wound healing, active food packaging, and filtration 25, 26, 27. Several beneficial properties of chitosan such as non-toxicity, biocompatibility, biodegradability, and its inherent antibacterial features have attracted scientists attentions 28. Antibacterial activity of chitosan has been proved against many bacteria, filamentous fungi, and yeasts 29. Chitosan has a wide spectrum of activity and high bactericide rate against gram-positive and gram-negative bacteria. Many factors affecting on the antibacterial property of chitosan are molecular weight, concentration, and solubility, among these, the most important factor is the degree of deacylation, because the amount of free amino groups in the molecule is related to its activity, in order to enhance the antimicrobial efficacy of chitosan and its derivatives, higher degree of deacylation and higher molecular weight with more amino groups are desired 30, 31, 32, 33. However, due to its polycationic nature in solutions, chitosan cannot be fabricated easily in the fiber form by electrospinning. Pure chitosan nanofibers with a satisfactory quality are obtained using high concentrations of the polymer in the solution. Factors such as applied voltage, the concentration of polymer in solution, flow rate, and particularly the viscosity of the solution affect the morphology of nanofibers 34, 35. To facilitate the nanofiber formation, different blends of chitosan with other polymers such as polycaprolactone, poly (ethylene oxide) (PEO), poly (vinyl alcohol) (PVA), and collagen have been used. These polymers help to overcome bead defects in chitosan nanofibers, which are attributed to an insufficient stretching of the fibers during the bending of the polymer solution jet 36, 37, 38, 39. It has been proved that over 99% of microorganisms reduce with pure chitosan nano-fibers and above 50% reduction has been seen with the blend of chitosan/PEO nanofibers 40. Arkoun et al., investigated the antibacterial activity of nanofibers based on chitosan (CNFs) achieved by the electrospinning process. The bactericidal efficiency of CNFs was determined against gram-positive bacteria, Listeria innocua and S. aureus and gram-negative bacteria, Salmonella typhimurium, and E. coli. Their findings showed a reduction in a range of 98.97% for S. typhimurium and 100% for E. coli and L. innocua. The results strongly suggested that CNFs interact with negatively charged bacterial cell walls causing the rupture of membrane and the leakage of intracellular components like proteins and DNA. The creation of pores on cell walls was observed in transmission electron microscopy (TEM) Fig. 1 41. 3. Electrospun Nanofiber Containing Antibacterial Agent: Recently, nano-scale antibacterial agents (essential oils, bioactive component, antibacterial drug, and metallic nanoparticle) have attracted more and more attention owing to their improved antibacterial properties compared with traditional substances 42. Electrospinning can produce nanofibers with unique properties, including high surface-to-volume ratio, very low weight, porous and flexibility nature. Electrospun nanofiber is having antibacterial properties can be achieved by encapsulation/entrapment of several types of antibacterial agents in the nanofiber matrix through the electrospinning process, which is satisfactory for the sustained release of antibacterial agents 6, 43, 44. For the blended polymer used in electro-spinning, environmentally-friendly polymers are desirable compared with traditional petroleum-based polymers 23. Electrospun nanofibers protect antibacterial agents from temperature, oxidation, degradation, and ambient conditions 45. 3.1. Electrospun Nanofibers Containing Essential Oils: In recent years, concerning the health worries associated with the side effects of synthetic compounds used in medicine and food industries and the advent of antibiotic-resistant pathogens, researchers have focused on biomaterial towards the development of nanofibers used for encapsulating essential oils 15. Essential oils are concentrated hydrophobic liquids, including volatile compounds extracted from plants. Hydrophobic terpenoid and phenolic compounds exist in essential oils. Essential oils are mixtures of different chemical compounds such as cymene, eugenol, and carvacrol extracted from aromatic plants 46, 47. The activity mechanism of essential oils against microorganisms depends on their hydrophobic nature, on the other words, they can be partitioned into the lipid bilayer of the bacterial cell membrane, with subsequent disruption of its structure. The membrane is then made permeable to ions and other cellular contents, and this finally leads to the collapse of the proton pump and cell death 47, 48, 49. Wen et al., produced a novel antibacterial electrospun nanofibrous film based on PVA to encapsulate the cinnamon essential oil (CEO). The results showed that the minimum inhibitory concentration (MIC) of PVA/CEO nanofibrous film against S. aureus and E. coli were approximately 0.9 and 1.0 mg/mL, respectively. Also, the minimum bactericide concentration (MBC) of PVA/CEO nanofibrous film against S. aureus and E. coli were nearly 7.0 and 8.0 mg/mL, respectively 50. Feng et al., produced PVA electrospun nanofibers by the incorporation of lysozyme (LYS) and CEO. Compared to the PVA/LYS nanofibers and PVA/CEO nanofibers containing an individual antibacterial substance, the PVA/CEO/LYS nanofibers displayed stronger antibacterial properties. The MIC and MBC values for Listeria monocytogenes were 0.8 and 6 (mg.ml-1) and for Staphylococcus enteritidis were 1 and 7 (mg.ml-1), respectively 51. Sadri et al., prepared electrospun chitosan / PEO nanofibers and entrapped two types of thyme essential oils in this nanofiber. The broad-leaf and narrow-leaf thyme essential oils-loaded into chitosan / POE fibers were tested against Pseudomonas aeruginosa and, S. aureus: after 24 h of contacting, fibers showed inhibition of board-life: 10 and 19 mm and narrow-life: 8 and 15 mm for P. aeruginosa and S. aureus, respectively. Agreeing to these results broad-leaved showed more antibacterial activity than narrow-leaf spices in the presence of bacteria 52. 3.2. Electrospun Nanofibers Containing Herbal Bioactive Components: Herbal bioactive components obtained from plants have powerful antibacterial activities against a variety of foodborne pathogens. The use of bioactive chemical compounds as antibacterial agents such as gingerol, curcumin, asiaticoside, and shikonin have been researched widely 53, 54, 55, 56. Curcumin (Cur) which is derived from the rhizome of Curcuma longa L. is renowned for its beneficial properties, including antioxidant, anti-inflammatory, and anticancer features. Several works have been published on the electrospinning of curcumin-based fibers for wound healing and drug delivery applications. For instance, PCL-poly (ethylene glycol) fibers loaded with 0.5% wt. of Cur have been examined on wounds. The composite fibers showed the efficacy of 99% and 70% in inhibiting the rise of S. aureus after 12 and 24 h, respectively 57. Karimi et al., perpetrated electrospun Poly (e-caprolactone), Poly (lactic acid), and their hybrid (50/50) nanofibrous mats containing thymol and evaluated the antibacterial properties of the electrospun mats against Staphylococcus aureus and Escherichia coli. Shikonin is another active herbal component which has antibacterial activity. It is obtained from the root of Lithospermum erythrorhizon 58. The shikonin-loaded PCL/PTMC fibers were tested against E. coli and S. aureus: after 24 h of contacting, fibers containing 5% wt. of shikonin showed inhibition of 16.9 and 21.3 mm for E. coli and S. aureus, respectively 59. Alta et al., produced electrospun nanofibers based on zein and poly (lactic acid) (PLA) and loaded carvacrol into this nanofiber for food packaging. The inhibition of aerobic mesophilic bacteria, yeast, and mold growth in bread samples increased when the carvacrol level increased in the zein and PLA nanofibers. Zein nanofibers at 20% carvacrol content showed 87.6% and 99.6% inhibition against aerobic bacteria, mold, and yeast whereas the rate of inhibition was 87.0% and 91.3% for PLA nanofibers at 20% carvacrol content, respectively 60. 3.3. Electrospun Nanofibers Containing Metals: The antibacterial activity of silver, zinc, and copper has been widely tested against some species. The inhibiting mechanism of metal against microorganisms is based on the consequence of its interactions with the cellular membrane, enzymes, and nucleic acids. For example, concerning Ag, it has been suggested that the mode of action of silver nanoparticles includes the damage to the bacterial cell membranes and the decay of the activity of certain enzymes. Silver is toxic to bacteria due to its affinity to nucleic acids and proteins 61, 62, 63. Nanoparticles entrapped in electrospun nanofibers would be an efficient means of transportation for the delivery of metals to bacteria of interest 63. 3.3.1. Electrospun Nanofiber Containing Silver: In the last years, silver-containing electrospun nanofibers have attracted attention as a novel form of antibacterial substance. Ag is a known biocidal agent that is effective against various types of bacteria, fungi, and viruses; however, it is non-toxic to human cells 64, 65, 66. Two important properties of electrospun nanofibers, including the mild conditions applied during electrospinning and high specific surface area of nanofibers, result in increasing the activity of such these nanofibers 67, 68. The simplest and most commonly used technique for combining Ag nanoparticles with electrospun nanofibers is the suspension of Ag nanoparticles directly into the electrospinning polymer solutions 69, 70. The presence of silver nanoparticles was proved by UV-vis spectroscopy at 420 nm 71. The addition of Ag nanoparticles affects the morphologies of the electrospun nanofiber. The incorporation of Ag improves the production of more smooth and continuous electrospun nano-fibers and the electrospun nanofibers average diameter commonly decreases as the Ag contents increase 66. This is because the conductivity of electrospinning suspensions promotes with the contents of Ag. The addition of Ag enhances the charge density of precursor suspensions, and therefore stronger elongation forces are applied on the ejected jets under the electric field, causing producing finer and attenuated electrospun nanofibers. Also, the antimicrobial activity of these nanofibers is highly dependent on the concentration and size of the Ag nanoparticles 72. Nanofibers prepared using nanoparticle technique have proved diminished antibacterial efficiency due to Ag nanoparticle aggregation and subsequently reduced bioavailability. However, reduction of silver ions in pre-electrospinning solutions results in a more uniform dispersion of Ag nanoparticles, partially as a result of the stabilizing activity of polymer molecules 73, 74. Reduction of silver nitrate in polymer solutions or polymer matrices by hydrogen gas 75, hydrazinium hydroxide 76, citrate 77, borohydride 78, and ascorbate 79 has been reported. To avoid the use of environmentally dangerous or hazardous chemical agents, a series of environmentally ‘‘green synthesis’’ techniques are under examinations 80. These methods include the polysaccharide technique (synthesis of Ag nanoparticles through nanoscopic starch templates) 81, biological technique (synthesis of Ag nanoparticles via special plant extracts, bio-organism extracts, or even some microorganisms) 82, and irradiation technique (radiolysis of silver nanoparticles by means of microwave, pulse, and gamma irradiation) 83, However, these ‘‘green’’ methods generally require longer treatment times and additional processes to incorporate silver nanoparticles into polymer matrixes 84, 85. Kalwar et al., prepared cellulose acetate (CA) nanofibers by the electrospinning method. Alkaline hydrolysis was introduced for conversion of CA nanofibers to cellulose nanofiber. Furthermore, Ag nanoparticles were incorporated on the cellulose nanofiber. Antibacterial activity of this fiber against E. coli and S. aureus after 18 h of contacting with the fiber was examined via the inhibition zone in LB medium. Results showed 16 and 14.4 mm of inhibition zone diameters at 1% Ag nanoparticles content against E. coli and S. aureus, respectively. Also, it was proven that increasing of Ag nanoparticle contents increased antibacterial activities 86. 3.3.2. Electrospun Nanofiber Containing Copper and Zinc: Copper (Cu) is a powerful natural biocidal metal being used since ancient times for the aim of manufacturing water drinking utensils. From the era of Hypocrites until now, Cu has been extensively used as an agent to reduce the microbial populations. When copper contacts with bacteria, it leads to distortion of cell walls causing the death of bacteria. Supporting of a polymeric matrix with Cu by electrospinning is an advanced method exploited by many researchers to deal with bacteria 87, 88. Ahire et al. incorporated copper nanoparticles into nanofibers through the electrospinning of PEO and Poly-D, L-lactide. After 48 h at the presence of Cu-nanofibers, S. aureus and P. aeruginosa were reduced by 50% and 41%, respectively 89. In recent years, Zinc oxide (ZnO) as a wide band-gap semiconductor, has received increased attention concerning potential electronic applications owing to its unique chemical, electrical, and optical properties 90. Moreover, ZnO appears to inhibit the growth of strongly resistant bacteria 91. There are some reports about the considerable antibacterial activity of ZnO, which is attributed to the production of reactive oxygen species, causing the generation of oxide substances. The advantage of these inorganic oxides as bactericidal agents is that they have mineral elements essential to human cells and exhibit strong activity even at small amounts 91. P. Gopinath produced PVA-based nanofibers incorporated with CuO-ZnO (CZ). Then, they explored the antibacterial activities of CZ nanofibers. The growth of S. aureus and E. coli was investigated in the presence of CZ nanofibers. 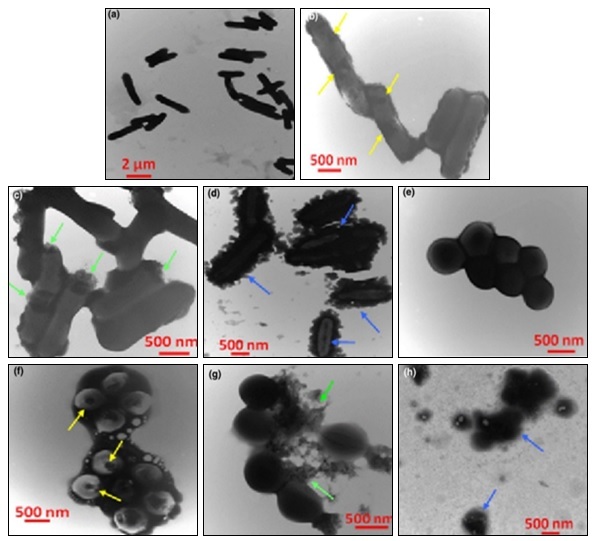 Visual turbidity analysis exhibited that 300 and 450 μg/mL concentrations of CZ nanofibers inhibited the growth of S. aureus and E. coli, respectively 92. 3.4. Electrospun Nanofibers Containing Antibacterial Drugs: Antimicrobial nanofibers containing antibacterial drugs have become one of the most encouraging nano-scaled materials used in wound health, filtration, and active packaging systems. A wide variety of antibacterial drugs have been chemically or physically formulated within electrospun nanofibers or on their surfaces, such as antibiotics and peptides. However, the release mechanism of antibacterial drugs is related to the polymer degradation, the release pathway, and the release profile of antibacterial drugs from electrospun nanofibers which may be tuned via the fiber morphology and polymer composition 93. So far, some different antibacterial drug loading techniques have been developed to produce drug-loaded nanofibers 94, 95, 96, 97, 98, 99, 100, 101. The conventional single fluid electrospinning technique allows direct entrapment of drug molecules within electrospun nanofibers by simply electrospinning the drug/polymer solution or post-adsorption of drugs onto/within the electrospun nanofibers. However, a burst release often occurs, which is not wanted in most of the cases. The techniques of coaxial electrospinning and emulsion used for drug delivery applications can diminish the burst release of the encapsulated/incorporated drug. In both methods, the drugs can be incorporated into the core section of the electrospun nanofibers to form a “core-shell” structure, in which the external polymer shell can act as an extra barrier to control the drug release profile 96, 97, 98. Antibacterial drugs encapsulated in electrospun nanofibers have been proved to maintain the antibacterial property over a longer period compared to the unencapsulated form 93, 102. Liu et al., prepared ciprofloxacin loaded into the sodium alginate/poly (lactic-co-glycolic acid) electrospun nanofibers and examined the antibacterial activity of these fibers against S. aureus. The MIC of ciprofloxacin for S. aureus was determined to be 0.125 μg/mL using the broth microdilution method 103. Han et al., produced and indicated the antibacterial activity of cellulose acetate/nisin nanofibers. These nanofibers showed 99.99% decrease of S. aureus 104. Finally, some examples, representing the antibacterial electrospun nano-fibers are summarized in Table 1. CONCLUSION: In this review, recent researches of antimicrobial electrospun nanofibers incorporated with several antibacterial agents, i.e., metallic nanoparticles, drugs, essential oils, and herbal bioactive components are presented. Electrospun nanofibers incorporated with antimicrobial substances show a wide spectrum of applications in drug delivery, food, packaging, filtration, and wound healing. Among the antimicrobial agents, metallic nanoparticles such as silver nanoparticles and essential oils are the most widely used antimicrobial agents incorporated into the electrospun nanofibers. The antibacterial performance of metallic nanoparticles incorporated into electrospun nanofibers depends on the size, concentration, and distribution of these nanoparticles. ACKNOWLEDGEMENT: We acknowledge the support of Tabriz University of Medical Sciences. Chen X, Yan H, Sun W, Feng Y, Li J, Lin Q, Shi Z and Wang X: Synthesis of amphiphilic alginate derivatives and electrospinning blend nanofibers: a novel hydrophobic drug carrier. Polymer Bulletin 2015; 72(12): 3097-3117. Nirmala R, Woo-il B, Navamathavan R, Kalpana D, Lee YS and Kim HY: Influence of antimicrobial additives on the formation of rosin nanofibers via Colloids and Surfaces B: Biointerfaces 2013; 104: 262-267. Liu M, Gu M, Tian Y, Huang P, Wang L and Shi Q: Multifunctional CaSc 2 O 4: Yb 3+/Er 3+ one-dimensional nanofibers: electrospinning synthesis and concentration-modulated upconversion luminescent properties. Journal of Materials Chemistry C 2017; 5(16): 4025-4033. Zhang B, Kang F, Tarascon JM and Kim JK: Recent advances in electrospun carbon nanofibers and their application in electrochemical energy storage. Progress in Materials Science 2016; 76: 319-380. Jayaraman K, Kotaki M, Zhang Y, Mo X and Ramakrishna S: Recent advances in polymer nanofibers. Journal of Nanoscience and Nanotechnology 2004; 4(1-2): 52-65. Aytac Z, Ipek S, Durgun E, Tekinay T and Uyar T: Antibacterial electrospun zein nanofibrous web encapsulating thymol/cyclodextrin-inclusion complex for food packaging. Food Chemistry 2017; 233: 117-124. Hu J, Kai D, Ye H, Tian L, Ding X, Ramakrishna S and Loh XJ: Electrospinning of poly (glycerol sebacate)-based nanofibers for nerve tissue engineering. Materials Science and Engineering: C 2017; 70: 1089-1094. Khoshnevisan K, Maleki H, Samadian H, Shahsavari S, Sarrafzadeh MH, Larijani B, Dorkoosh FA, Haghpanah V and Khorramizadeh MR: Cellulose Acetate Electrospun Nanofibers for Drug Delivery Systems: Applications and Recent Advances. Carbohydrate Polymers 2018. Leung WWF and Choy HF: Transition from depth to surface filtration for a low-skin effect filter subject to continuous loading of nano-aerosols. Separation and Purification Technology 2018; 190: 202-210. Wen P, Zong MH, Linhardt RJ, Feng K and Wu H: Electrospinning: A novel nano-encapsulation approach for bioactive compounds. Trends in Food Science & Technology 2017. Ahmed FE, Lalia BS and Hashaikeh R: A review on electrospinning for membrane fabrication: challenges and applications. Desalination 2015; 356: 15-30. Hennekinne JA: Staphylococcus aureus as a Leading Cause of Foodborne Outbreaks Worldwide, in Staphylococcus aureus. 2018, Elsevier 129-146. Kirk MD, Angulo FJ, Havelaar AH and Black RE: Diarrhoeal disease in children due to contaminated food. Bulletin of the World Health Organization 2017; 95(3): 233. Amna T, Yang J, Ryu KS and Hwang I: Electrospun antimicrobial hybrid mats: Innovative packaging material for meat and meat products. Journal of food science and technology. 2015; 52(7): 4600-4606. Sridhar R, Lakshminarayanan R, Madhaiyan K, Barathi VA, Lim KHC and Ramakrishna S: Electrosprayed nanoparticles and electrospun nanofibers based on natural materials: applications in tissue regeneration, drug delivery and Chemical Society Reviews 2015; 44(3): 790-814. Lund B, Baird-Parker TC and Gould GW, Microbiological safety and quality of food. Vol. 1. 2000: Springer Science & Business Media. Balasubramanian A, Rosenberg LE, Yam K and Chikindas ML: Antimicrobial packaging: potential vs. Reality-a review. Journal of Applied Packaging Research 2009; 3(4): 193-221. Moritz M and Geszke-Moritz M: The newest achievements in synthesis, immobilization and practical applications of antibacterial nanoparticles. Chemical Engineering Journal 2013; 228: 596-613. Song K, Wu Q, Qi Y and Kärki T: Electrospun nanofibers with antimicrobial properties, in Electrospun Nanofibers 2017; 551-569. Galed G, Miralles B, Paños I, Santiago A and Heras Á: N-Deacetylation and depolymerization reactions of chitin/chitosan: Influence of the source of chitin. Carbohydrate Polymers 2005; 62(4): 316-320. Muzzarelli R and Muzzarelli C: Chitosan chemistry: relevance to the biomedical sciences, in Polysaccharides I 2005; 151-209. Dilamian M, Montazer M and Masoumi J: Antimicrobial electrospun membranes of chitosan/poly (ethylene oxide) incorporating poly (hexamethylene biguanide) hydrochloride. Carbohydrate Polymers 2013; 94(1): 364-371. Díez-Pascual AM and Díez-Vicente AL: Antimicrobial and sustainable food packaging based on poly (butylene adipate-co-terephthalate) and electrospun chitosan nanofibers. RSC Advances 2015; 5(113): 93095-93107. Rabea EI, Badawy MET, Stevens CV, Smagghe G and Steurbaut W: Chitosan as antimicrobial agent: applications and mode of action. Biomacromolecules 2003; 4(6): 1457-1465. Ahsan SM, Thomas M, Reddy KK, Sooraparaju SG, Asthana A and Bhatnagar I: Chitosan as a biomaterial in drug delivery and tissue engineering. International journal of biological macromolecules 2017. Sreekumar S, Lemke P, Moerschbacher BM, Torres-Giner S and Lagaron JM: Preparation and optimization of submicron chitosan capsules by water-based electrospraying for food and bioactive packaging applications. Food Additives & Contaminants: Part A 2017; 34(10): 1795-1806. Li L, Zhang J, Li Y and Yang C: Removal of Cr (VI) with a spiral wound chitosan nanofiber membrane module via dead-end filtration. Journal of Membrane Science 2017; 544: 333-341. Ahmed S and Ikram S: Chitosan-based scaffolds and their applications in wound healing. Achievements in the Life Sciences 2016; 10(1): 27-37. Tikhonov VE, Stepnova EA, Babak VG, Yamskov IA, Palma-Guerrero J, Jansson H-B, Lopez-Llorca LV, Salinas J, Gerasimenko DV and Avdienko ID: Bactericidal and antifungal activities of a low molecular weight chitosan and its N-/2 (3)-(dodec-2-enyl) succinoyl/-derivatives. Carbohydrate Polymers 2006; 64(1): 66-72. Raafat D, Von Bargen K, Haas A and Sahl HG: Insights into the mode of action of chitosan as an antibacterial compound. Applied and environmental microbiology 2008; 74(12): 3764-3773. Liu N, Chen XG, Park HJ, Liu CG, Liu CS, Meng XH and Yu LJ: Effect of MW and concentration of chitosan on antibacterial activity of Escherichia coli. Carbohydrate Polymers 2006; 64(1): 60-65. Tsai GJ, Su WH, Chen HC and Pan CL: Antimicrobial activity of shrimp chitin and chitosan from different treatments and applications of fish preservation. Fisheries Science 2002; 68(1): 170-177. Jia YT, Gong J, Gu XH, Kim HY, Dong J and Shen XY: Fabrication and characterization of poly (vinyl alcohol)/ chitosan blend nanofibers produced by electrospinning method. Carbohydrate Polymers 2007; 67(3): 403-409. Bhattarai N, Edmondson D, Veiseh O, Matsen FA and Zhang M: Electrospun chitosan-based nanofibers and their cellular compatibility. Biomaterials 2005; 26(31): 6176-6184. Nguyen TTT, Chung OH and Park JS: Coaxial electrospun poly (lactic acid)/chitosan (core/shell) composite nanofibers and their antibacterial activity. Carbohydrate Polymers 2011; 86(4): 1799-1806. Xie J, Lou X, Wang X, Yang L and Zhang Y: Electrospun nanofibers of hydroxyapatite/collagen/chitosan promote osteogenic differentiation of the induced pluripotent stem cell-derived mesenchymal stem cells. Journal of controlled release: official Journal of the Controlled Release Society 2015; 213: e53-e53. Karakas K, Celebioglu A, Celebi M, Uyar T and Zahmakiran M: Nickel nanoparticles decorated on electrospun polycaprolactone/chitosan nanofibers as flexible, highly active and reusable nanocatalyst in the reduction of nitrophenols under mild conditions. Applied Catalysis B: Environmental 2017; 203: 549-562. Susanto H, Faz M, Rani M and Robbani M: The Influence of Photoinitiator on the Characteristics of Electrospun Poly (vinyl alcohol)/Chitosan Based Nanofibers. in IOP Conference Series: Materials Science and Engineering. 2018. IOP Publishing. Jiang H, Fang D, Hsiao B, Chu B and Chen W: Preparation and characterization of ibuprofen-loaded poly (lactide-co-glycolide)/poly (ethylene glycol)-g-chitosan electrospun membranes. Journal of Biomaterials Science, Polymer Edition 2004; 15(3): 279-296. Doğan G, Özyıldız F, Başal G and Uzel A: Fabrication of electrospun chitosan and chitosan/poly (ethylene oxide) nanofiber webs and assessment of their antimicrobial activity. International Polymer Processing 2013; 28(2): 143-150. Arkoun M, Daigle F, Heuzey MC and Ajji A: Antibacterial electrospun chitosan‐based nanofibers: A bacterial membrane perforator. Food Science & Nutrition 2017; 5(4): 865-874. Kayaci F and Uyar T: Encapsulation of vanillin/cyclodextrin inclusion complex in electrospun polyvinyl alcohol (PVA) nanowebs: prolonged shelf-life and high-temperature stability of vanillin. Food Chemistry 2012; 133(3): 641-649. Karami Z, Rezaeian I, Zahedi P and Abdollahi M: Preparation and performance evaluations of electrospun poly (ε‐caprolactone), poly (lactic acid), and their hybrid (50/50) nanofibrous mats containing thymol as an herbal drug for effective wound healing. Journal of Applied Polymer Science 2013; 129(2): 756-766. Tsekova PB, Spasova MG, Manolova NE, Markova ND and Rashkov IB: Electrospun curcumin-loaded cellulose acetate/polyvinylpyrrolidone fibrous materials with complex architecture and antibacterial activity. Materials Science and Engineering: C 2017; 73: 206-214. Bhushani JA and Anandharamakrishnan C: Electrospinning and electrospraying techniques: Potential food-based Trends in Food Science & Technology 2014; 38(1): 21-33. Del Nobile M, Conte A, Incoronato A and Panza O: Antimicrobial efficacy and release kinetics of thymol from zein films. Journal of Food Engineering 2008; 89(1): 57-63. Burt S: Essential oils: their antibacterial properties and potential applications in the foods-a International journal of food microbiology 2004; 94(3): 223-253. Bakkali F, Averbeck S, Averbeck D and Idaomar M: Biological effects of essential oils–a review. Food and chemical toxicology 2008; 46(2): 446-475. Edris AE: Pharmaceutical and therapeutic potentials of essential oils and their volatile constituents: a review. Phytotherapy Research 2007; 21(4): 308-323. Wen P, Zhu DH, Wu H, Zong MH, Jing YR and Han SY: Encapsulation of cinnamon essential oil in the electrospun nanofibrous film for active food packaging. Food Control 2016; 59: 366-376. Feng K, Wen P, Yang H, Li N, Lou WY, Zong MH and Wu H: Enhancement of the antimicrobial activity of cinnamon essential oil-loaded electrospun nanofilm by the incorporation of lysozyme. RSC Advances 2017; 7(3): 1572-1580. Sadri M, Karimi-Nazari E, Hosseini H and Emamgholi A: New Chitosan/Poly (ethylene oxide)/Thyme Nanofiber Prepared by Electrospinning Method for Antimicrobial Wound Dressing. Journal of Nanostructures 2016; 6(4): 322-328. Ranjbar-Mohammadi M, Rabbani S, Bahrami SH, Joghataei M and Moayer F: Antibacterial performance and in-vivo diabetic wound healing of curcumin loaded gum tragacanth/poly (ε-caprolactone) electrospun nanofibers. Materials Science and Engineering: C 2016; 69: 1183-1191. Chantarodsakun T, Vongsetskul T, Jangpatarapongsa K, Tuchinda P, Uamsiri S, Bamrungcharoen C, Kumkate S, Opaprakasit P and Tangboriboonrat P: -Gingerol-loaded cellulose acetate electrospun fibers as a topical carrier for controlled release. Polymer bulletin 2014; 71(12): 3163-3176. Zhu L, Liu X, Du L and Jin Y: Preparation of asiaticoside-loaded coaxially electrospinning nanofibers and their effect on deep partial-thickness burn injury. Biomedicine & Pharmacotherapy 2016; 83: 33-40. Han J, Chen T-X, Branford-White CJ and Zhu LM: Electrospun shikonin-loaded PCL/PTMC composite fiber mats with potential biomedical applications. International journal of pharmaceutics 2009; 382(1-2): 215-221. Bui HT, Chung OH, Cruz JD and Park JS: Fabrication and characterization of electrospun curcumin-loaded polycaprolactone-polyethylene glycol nanofibers for enhanced wound healing. Macromolecular Research 2014; 22(12): 1288-1296. Wang S, Marcone MF, Barbut S and Lim LT: Electrospun soy protein isolate-based fiber fortified with anthocyanin-rich red raspberry (Rubus strigosus) extracts. Food Research International 2013; 52(2): 467-472. Kontogiannopoulos KN, Assimopoulou AN, Tsivintzelis I, Panayiotou C and Papageorgiou VP: Electrospun fiber mats containing shikonin and derivatives with potential biomedical applications. 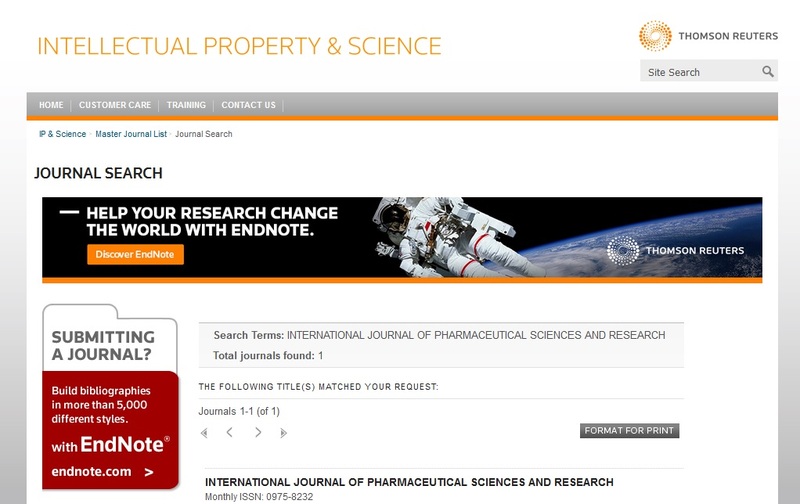 International journal of pharmaceutics 2011; 409(1-2): 216-228. Altan A, Aytac Z and Uyar T: Carvacrol loaded electrospun fibrous films from zein and poly (lactic acid) for active food packaging. Food Hydrocolloids 2018; 81: 48-59. Quirós J, Borges JP, Boltes K, Rodea-Palomares I and Rosal R: Antimicrobial electrospun silver-, copper-and zinc-doped polyvinylpyrrolidone nanofibers. Journal of hazardous materials 2015; 299: 298-305. Lemire JA, Harrison JJ and Turner RJ: Antimicrobial activity of metals: mechanisms, molecular targets and applications. Nature Reviews Microbiology 2013; 11(6): 371. Li W-R, Xie X-B, Shi Q-S, Zeng H-Y, You-Sheng O-Y and Chen Y-B: Antibacterial activity and mechanism of silver nanoparticles on Escherichia coli. Applied microbiology and biotechnology 2010; 85(4): 1115-1122. Berger T, Spadaro J, Chapin S and Becker R: Electrically generated silver ions: quantitative effects on bacterial and mammalian cells. Antimicrobial Agents and Chemotherapy 1976; 9(2): 357. Rai M, Yadav A and Gade A: Silver nanoparticles as a new generation of antimicrobials. Biotechnology Advances 2009; 27(1): 76-83. Shi Q, Vitchuli N, Nowak J, Caldwell JM, Breidt F, Bourham M, Zhang X and McCord M: Durable antibacterial Ag/polyacrylonitrile (Ag/PAN) hybrid nanofibers prepared by atmospheric plasma treatment and electrospinning. 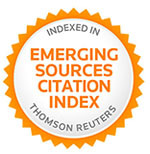 European Polymer Journal 2011; 47(7): 1402-1409. Castellano JJ, Shafii SM, Ko F, Donate G, Wright TE, Mannari RJ, Payne WG, Smith DJ and Robson MC: Comparative evaluation of silver‐containing antimicrobial dressings and drugs. International Wound Journal 2007; 4(2): 114-122. Sichani GN, Morshed M, Amirnasr M and Abedi D: In-situ preparation, electrospinning, and characterization of polyacrylonitrile nanofibers containing silver nano-particles. Journal of Applied Polymer Science 2010; 116(2): 1021-1029. Park SW, Bae HS, Xing ZC, Kwon OH, Huh MW and Kang IK: Preparation and properties of silver‐containing nylon 6 nanofibers formed by electrospinning. Journal of Applied Polymer Science 2009; 112(4): 2320-2326. Yeo SY, Lee HJ and Jeong SH: Preparation of nanocomposite fibers for permanent antibacterial effect. Journal of Materials Science 2003; 38(10): 2143-2147. Fouda MM, El-Aassar M and Al-Deyab SS: Antimicrobial activity of carboxymethyl chitosan/polyethylene oxide nanofibers embedded silver nanoparticles. Carbohydrate Polymers 2013; 92(2): 1012-1017. Xing ZC, Chae WP, Baek JY, Choi MJ, Jung Y and Kang IK: In-vitro assessment of antibacterial activity and cytocompatibility of silver-containing PHBV nanofibrous scaffolds for tissue engineering. Biomacromolecules 2010; 11(5): 1248-1253. Shin HS, Yang HJ, Kim SB and Lee MS: Mechanism of growth of colloidal silver nanoparticles stabilized by polyvinyl pyrrolidone in γ-irradiated silver nitrate solution. Journal of Colloid and Interface Science 2004; 274(1): 89-94. Jeon HJ, Kim JS, Kim TG, Kim JH, Yu W-R and Youk JH: Preparation of poly (ɛ-caprolactone)-based polyurethane nanofibers containing silver nanoparticles. Applied Surface Science 2008; 254(18): 5886-5890. Xu X, Yang Q, Wang Y, Yu H, Chen X and Jing X: Biodegradable electrospun poly (L-lactide) fibers containing antibacterial silver nanoparticles. European Polymer Journal 2006; 42(9): 2081-2087.
de Santa Maria LC, Santos AL, Oliveira PC, Barud HS, Messaddeq Y and Ribeiro SJ: Synthesis and characterization of silver nanoparticles impregnated into bacterial cellulose. Materials Letters 2009; 63(9-10): 797-799. Dong X, Ji X, Wu H, Zhao L, Li J and Yang W: Shape control of silver nanoparticles by stepwise citrate reduction. The Journal of Physical Chemistry C 2009; 113(16): 6573-6576. Luong ND, Lee Y and Nam JD: Highly-loaded silver nanoparticles in ultrafine cellulose acetate nanofibrillar European Polymer Journal 2008; 44(10): 3116-3121. Kumar A, Chhatra RK and Pandey PS: Synthesis of click bile acid polymers and their application in stabilization of silver nanoparticles showing iodide sensing property. Organic Letters 2009; 12(1): 24-27. Sharma VK, Yngard RA and Lin Y: Silver nanoparticles: green synthesis and their antimicrobial activities. Advances in Colloid and Interface Science 2009; 145(1-2): 83-96. Raveendran P, Fu J and Wallen SL: A simple and “green” method for the synthesis of Au, Ag, and Au–Ag alloy nanoparticles. Green Chemistry 2006; 8(1): 34-38. Li S, Shen Y, Xie A, Yu X, Qiu L, Zhang L and Zhang Q: Green synthesis of silver nanoparticles using Capsicum annuum extract. Green Chemistry 2007; 9(8): 852-858. Hu B, Wang SB, Wang K, Zhang M and Yu SH: Microwave-assisted rapid facile “green” synthesis of uniform silver nanoparticles: self-assembly into multilayered films and their optical properties. The Journal of Physical Chemistry C 2008; 112(30): 11169-11174. Krutyakov YA, Kudrinskiy AA, Olenin AY and Lisichkin GV: Synthesis and properties of silver nanoparticles: advances and prospects. Russian Chemical Reviews 2008; 77(3): 233-257. Huang H and Yang X: Synthesis of polysaccharide-stabilized gold and silver nanoparticles: a green method. Carbohydrate Research 2004; 339(15): 2627-2631. Kalwar K, Hu L, Li DL and Shan D: AgNPs incorporated on deacetylated electrospun cellulose nanofibers and their effect on the antimicrobial activity. Polymers for Advanced Technologies 2018; 29(1): 394-400. Raffi M, Mehrwan S, Bhatti TM, Akhter JI, Hameed A, Yawar W and ul-Hasan MM: Investigations into the antibacterial behavior of copper nanoparticles against Escherichia coli. Annals of Microbiology 2010; 60(1): 75-80. Zhong W, Zishen W, Zhenhuan Y, Zhifong L, Xinde Z and Qinghua H: Synthesis, Characterization and Antifungal Activity of Copper (II), Zinc (II), Cobalt (II) and Nickel (II) Complexes Derived from 2-Chlorobenzaldehyde and Glycine. Synthesis and Reactivity in Inorganic and Metal-Organic Chemistry 1994; 24(9): 1453-1460. Ahire JJ, Hattingh M, Neveling DP and Dicks LM: Copper-containing anti-biofilm nanofiber scaffolds as a wound dressing material. PloS one 2016; 11(3): e0152755. Baxter JB and Aydil ES: Nanowire-based dye-sensitized solar cells. Applied Physics Letters 2005; 86(5): 053114. Sawai J and Yoshikawa T: Quantitative evaluation of antifungal activity of metallic oxide powders (MgO, CaO and ZnO) by an indirect conductimetric assay. Journal of applied microbiology 2004; 96(4): 803-809. Malwal D and Gopinath P: Efficient adsorption and antibacterial properties of electrospun CuO-ZnO composite nanofibers for water remediation. Journal of hazardous materials 2017; 321: 611-621. Qi R, Guo R, Zheng F, Liu H, Yu J and Shi X: Controlled release and antibacterial activity of antibiotic-loaded electrospun halloysite/poly (lactic-co-glycolic acid) composite nanofibers. Colloids and Surfaces B: Biointerfaces 2013; 110: 148-155. Yoon H and Kim GH: Layer-by-layered electrospun micro/nanofibrous mats for drug delivery system. Macromolecular Research 2012; 20(4): 402-406. Wang Y, Wang B, Qiao W and Yin T: A novel controlled release drug delivery system for multiple drugs based on electrospun nanofibers containing nanoparticles. Journal of pharmaceutical Sciences 2010; 99(12): 4805-4811. Mickova A, Buzgo M, Benada O, Rampichova M, Fisar Z, Filova E, Tesarova M, Lukas D and Amler E: Core/shell nanofibers with embedded liposomes as a drug delivery system. Biomacromolecules 2012; 13(4): 952-962. Huang HH, He CL, Wang HS and Mo XM: Preparation of core‐shell biodegradable microfibers for long‐term drug delivery. Journal of biomedical materials research Part A 2009; 90(4): 1243-1251. Huang ZM, He CL, Yang A, Zhang Y, Han XJ, Yin J and Wu Q: Encapsulating drugs in biodegradable ultrafine fibers through co‐axial electrospinning. Journal of Biomedical Materials Research Part A 2006; 77(1): 169-179. Beck‐Broichsitter M, Thieme M, Nguyen J, Schmehl T, Gessler T, Seeger W, Agarwal S, Greiner A and Kissel T: Novel ‘Nano in Nano’ Composites for Sustained Drug Delivery: Biodegradable Nanoparticles Encapsulated into Nanofiber Non‐ Macromolecular Bioscience 2010; 10(12): 1527-1535. Qi R, Guo R, Shen M, Cao X, Zhang L, Xu J, Yu J and Shi X: Electrospun poly (lactic-co-glycolic acid)/halloysite nanotube composite nanofibers for drug encapsulation and sustained release. Journal of Materials Chemistry 2010; 20(47): 10622-10629. Qi R, Cao X, Shen M, Guo R, Yu J and Shi X: Biocompatibility of electrospun halloysite nanotube-doped poly (lactic-co-glycolic acid) composite nanofibers. Journal of Biomaterials Science, Polymer Edition 2012; 23(1-4): 299-313. Melaiye A, Sun Z, Hindi K, Milsted A, Ely D, Reneker DH, Tessier CA and Youngs WJ: Silver (I)− imidazole cyclophane gem-diol complexes encapsulated by electrospun tecophilic nanofibers: Formation of nanosilver particles and antimicrobial activity. Journal of the American Chemical Society 2005; 127(7): 2285-2291. Liu X, Nielsen LH, Kłodzińska SN, Nielsen HM, Qu H, Christensen LP, Rantanen J and Yang M: Ciprofloxacin-loaded sodium alginate/poly (lactic-co-glycolic acid) electrospun fibrous mats for wound healing. European Journal of Pharmaceutics and Biopharmaceutics 2018; 123: 42-49. Han D, Sherman S, Filocamo S and Steckl AJ: Long-term antimicrobial effect of nisin released from electrospun triaxial fiber membranes. Acta biomaterialia 2017; 53: 242-249. Deng L, Taxipalati M, Zhang A, Que F, Wei H, Feng F and Zhang H: Electrospun chitosan/polyethylene oxide/lauric arginate nanofibrous film with enhanced antimicrobial activity. Journal of Agricultural and Food Chemistry 2018. Bösiger P, Tegl G, Richard IM, Le Gat L, Huber L, Stagl V, Mensah A, Guebitz GM, Rossi RM and Fortunato G: Enzyme functionalized electrospun chitosan mats for antimicrobial treatment. Carbohydrate Oolymers 2018; 181: 551-559. Antunes MD, da Silva Dannenberg G, Fiorentini ÂM, Pinto VZ, Lim LT, da Rosa Zavareze E and Dias ARG: Antimicrobial electrospun ultrafine fibers from zein containing eucalyptus essential oil/cyclodextrin inclusion complex. International Journal of Biological Macromolecules 2017; 104: 874-882. Liakos IL, Holban AM, Carzino R, Lauciello S and Grumezescu AM: Electrospun fiber pads of cellulose acetate and essential oils with antimicrobial activity. Nanomaterials 2017; 7(4): 84. Doğan G, Başal G, Bayraktar O, Özyildiz F, Uzel A and Erdoğan İ: Bioactive Sheath/Core nanofibers containing olive leaf extract. Microscopy Research and Technique 2016; 79(1): 38-49. Liu Y, Liang X, Wang S, Qin W and Zhang Q: Electrospun Antimicrobial Polylactic Acid/Tea Polyphenol Nanofibers for Food-Packaging Applications. Polymers 2018; 10(5): 561. Wang H, Hao L, Wang P, Chen M, Jiang S and Jiang S: Release kinetics and antibacterial activity of curcumin loaded zein fibers. Food Hydrocolloids 2017; 63: 437-446. Tampau A, González-Martínez C and Chiralt A: Release kinetics and antimicrobial properties of carvacrol encapsulated in electrospun poly-(ε-caprolactone) nano-fibres. application in starch multilayer films. Food Hydrocolloids 2017. Shin J and Lee S: Encapsulation of Phytoncide in Nanofibers by Emulsion Electrospinning and their Antimicrobial Assessment. Fibers and Polymers 2018; 19(3): 627-634. Cheng TH, Lin SB, Chen LC and Chen HH: Studies of the antimicrobial ability and silver ions migration from silver nitrate-incorporated electrospun nylon nanofibers. Food Packaging and Shelf Life 2018; 16: 129-137. Furtos G, Rivero G, Rapuntean S and Abraham GA: Amoxicillin‐loaded electrospun nanocomposite membranes for dental applications. Journal of Biomedical Materials Research Part B: Applied Biomaterials 2017; 105(5): 966-976. Park JA and Kim SB: Antimicrobial filtration with electrospun poly (vinyl alcohol) nanofibers containing benzyl triethylammonium chloride: Immersion, leaching, toxicity, and filtration tests. Chemosphere 2017; 167: 469-477. Padrão J, Machado R, Casal M, Lanceros-Méndez S, Rodrigues LR, Dourado F and Sencadas V: Antibacterial performance of bovine lactoferrin-fish gelatine electrospun membranes. International Journal of Biological Macro-molecules 2015; 81: 608-614. Díaz A, del Valle LJ, Rodrigo N, Casas MT, Chumburidze G, Katsarava R and Puiggalí J: Antimicrobial Activity of Poly (ester urea) Electrospun Fibers Loaded with Bacterio-phages. Fibers 2018; 6(2): 33. Mohammadi MA, Rostami M, Beikzadeh S, Raeisi M, Tabibiazar M and Yousefi M: Electrospun nanofibers as advanced antibacterial platforms: a review of recent studies. Int J Pharm Sci & Res 2019; 10(2): 463-73. doi: 10.13040/IJPSR.0975-8232.10(2).463-73.